The first qualifier in the prestigious FIDE World Online Women Blitz Championship 2015 took place on the official FIDE Online platform on June 18. In the third round of the event Italian WFM Tea Gueci (with nickname marmocchia) met former World champion for women GM Alexandra Kosteniuk (nickname: AlexandraK). It was a very interesting and sharp encounter with ups and downs for both players. Enjoy the game, annotated in-depth by IM, WGM Iva Videnova. 1.e4 c5 GM Alexandra Kosteniuk’s main weapon with Black pieces against 1.e4 is the Sicilian Defence, since it suits best to her aggressive and sharp style of play. 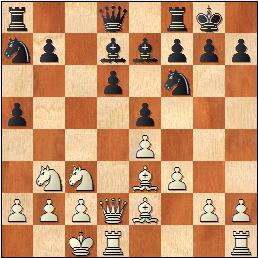 The other main line is 6.Bg5 Richter-Rauzer Attack. 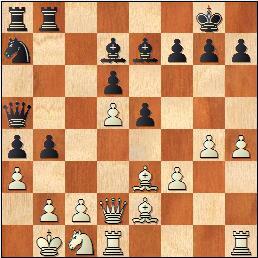 6…e5 7.Nb3 Be7 8.f3 0–0 9.Qd2 White prepares to castle long. 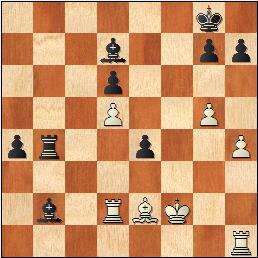 9…a5 That’s why Black answers with an immediate attack on the queenside. In positions with opposite-side castles the winner is usually this one who manages to organize his attack first. 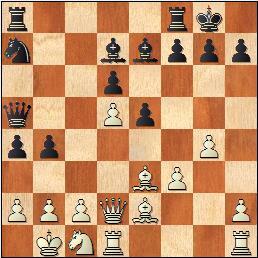 10.Bb5 The move was played by top players Anand, Shirov, Morozevich. It’s very logical because of preventing the a5–a4 advance. 11.Rd1 is the most popular move, followed by short castling. 13.a4 was preferable, preventing …a5–a4. White starts an attack but Black seems faster. 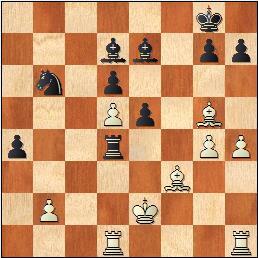 15.a3 was a must, otherwise Black’s invasion on the queenside becomes too dangerous. 17.Qxd5 doesn’t help either. 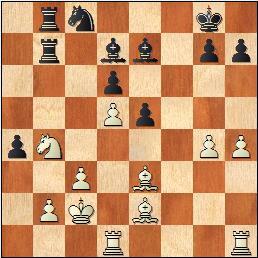 17…Qc7 with the idea of Rfb8, pointing all the pieces against White’s king. 17…Qb8 was a much better place for the queen. From here it can support the b4–b3 attack and the rook from f8 can join the attack. 18.a3! Tea Gueci uses the pin along the a5–d2 diagonal to attack the b4–pawn. White should have played 19.Na2 and the pawn on b4 will be taken with insufficient compensation for Black. 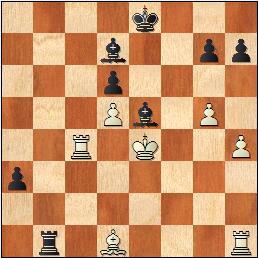 19…Nc8 It is a necessary move for the former World champion, in order to protect the queen on a5. 20.axb4 Qxb4 21.Qxb4 Rxb4 The queens are exchanged but Black’s attack along the semi-open a-, b-files is still there. Black creates weaknesses on the other flank. 26…Rxb4!? The former World champion sacrificed an exchange in Petrosian’s style. It seems like White’s pawn structure was begging for it. The strong bishop pair and the active rook on b4 are pretty good compensation for this sacrifice. 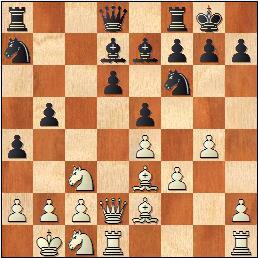 27.cxb4 Rxb4 The g4–pawn is attacked. 31.Ke2 Nb6 32.Be3? White missed a great chance. would turn the game in White’s favor, due to the fact that Black cannot avoid exchanging either rooks, or dark-squared bishops right now. 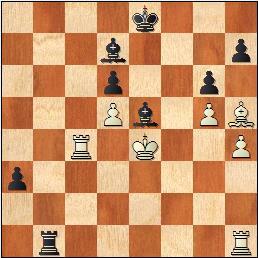 If Alexandra Kosteniuk had predicted this continuation, she would surely play 31… Bd8, preventing the possible outcome. 35…Bxg4 was also possible 36.Bxg4 Rxg4 and Black is better, having two pawns for the exchange and a better pawn structure. Black is already winning, since nothing can stop the passed a-pawn from being promoted. 41…Rxc4? would be, of course, a mistake. When an exchange down, one needs to keep the rook on the board. 42.Bxc4 Kf7 and now the support of the a4–pawn further advance is almost impossible. What a blunder! Black missed the following discovered check. However, in blitz games anything can happen. Simple 43…Rb8 would have kept the game winning for Black. 44.Bh5+ After this tactical motif Black loses another exchange. 45.Bxg6+?? 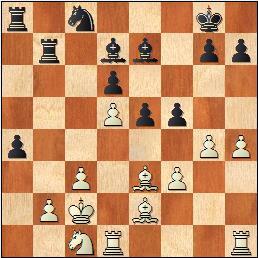 White blunders last, perhaps missing the skewer along the b1–h7 diagonal. 45.Rxb1 Bf5+ 46.Ke3 Bxb1 47.Rc8+ Ke7 48.Bg4 a2 49.Rc7+ Kd8 50.Rc8+ Ke7 51.Rc7+ and the game could end in a perpetual check. 45…hxg6 46.Rxb1 Bf5+ This deadly skewer decides the game in favor of Black. 47.Ke3 Bxb1 And the rest is only a matter of technique, even in blitz. 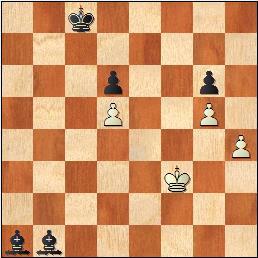 White was forced to resign. It was a double-edged game with chances for both sides, but GM Alexandra Kosteniuk showed better tactical skills and won this game and later on the tournament.